The Custom Cooler Bag has a large interior which holds up to 12 canned beverages. 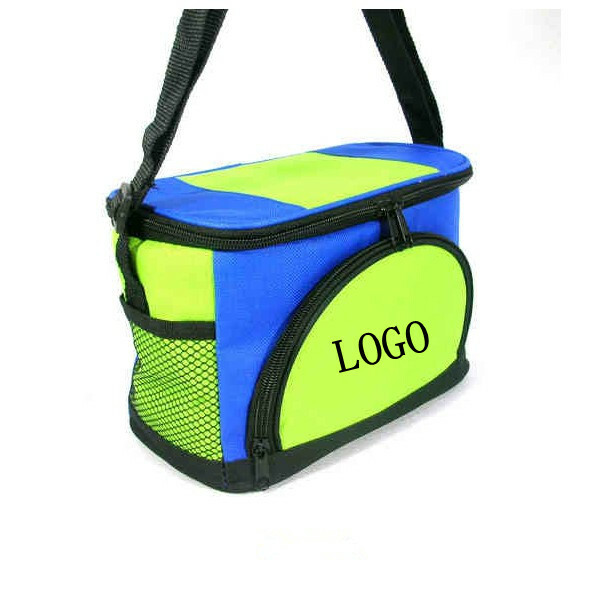 It will keep food and drinks cool on the job site, at school, in the office, camping, and fishing. It features a Quick Grab top hatch for easy access to contents and is designed with a sealed, insulated cooler bag with reinforced bottom panel.